With an impressive series (five first places and two second places) the Brazilian Mauricio Santa Cruz and his BRA J/24 37 Bruschetta 28 have dominated the Naval Academy Trophy held in the city of Livorno. The prestigious event for more than a quarter of a century ensures not only top-level racing but charm and appeal thanks to the Navy, in the splendid setting of the Military Academy in synergy with the Village Tuttovela, Livorno and the sailing clubs involved. The J/24 world champion (champion in 2006, ’07 and ’09) and his team did not even need to take to the water in the eighth and final round: they had, in fact, won the coveted trophy (delivered by Admiral Division of Pierluigi Rosati, Commander of the Naval Academy) to close the regatta with 9 points. Silver went to ITA 21 Jamaica (CN Marina di Carrara) helmed by Carrara Peter Diamond, Head of Fleet in the Gulf of Poets (with a crew Gianluca Caridi, Giuseppe Garofalo, Fabrizio Ginesi, Paul Governato) star of the opening race (26 points, 1 -6-4,2,6,3,4,6 the partial day). For them the Cup Naval Academy received by the President of the TAN, the CDV Massimo Vianello and Il Tirreno Trophy reserved for the first of Tuscan finisher delivered by J/24 editor of the newspaper in Livorno Roberto Bernabo. At one point away ITA 416 La Superba Navy sect. Naples led as always by Ignazio Bonanno: The crew of Anzio Nettuno winter champion withdrew from the Cup Naval Academy Head of the Foreign CCG Marine Marco Bagni. Podium was also touched by the German Karl Mares GER 5420 Rotoman and Federico Chiattelli GBR 442 with Hawk (Sect. Vel. Acc. Air Force), both at 37 points. For the Sardinian Alberto Gai and his ITA 505 Kimbe, the latest in home JBoats and launched on the occasion of TAN, a twenty-first place after a boat with some problems (“We used the first races to develop and familiarize yourself with the boat,” said Gai) but also with a strong second place in the third last race (DNF-DNF, 6,12,24,2, BFD, the 11 partial). 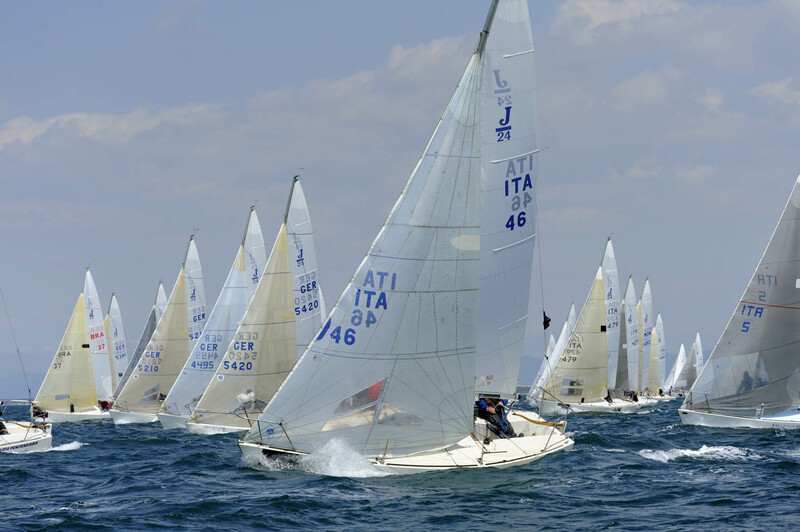 Eight races with challenging weather and sea conditions and completed under the careful direction of the Navy League of Livorno (Reference J/24 sailing club for this edition) forty-two teams: a record of participation. 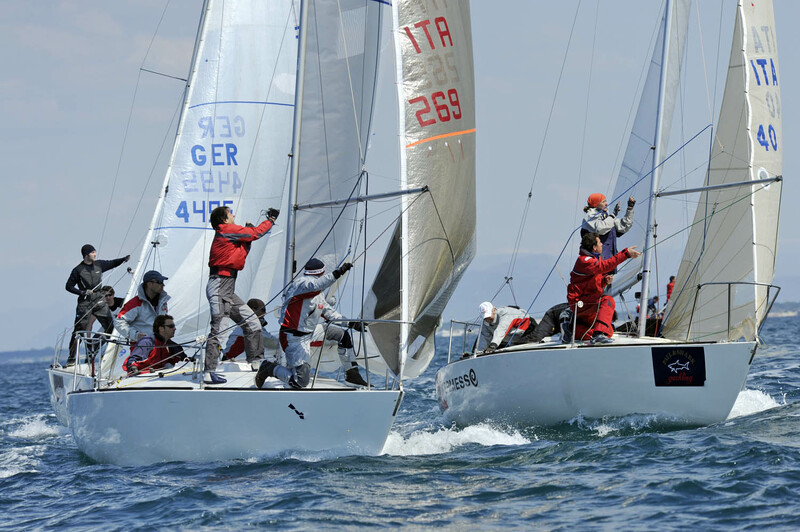 Also this year the J/24 fleet was, in fact, upheld the most numerous (except for the young Optimist) and main protagonist of the TAN, the second leg of the event as a valid national circuit in 2011. High the presence of foreign Navies: less than 17 representing the Naval Academy in Chile, China, Colombia, United Arab Emirates, Jordan (which, however, although present, will not participate in competitions), Japan, Great Britain, India, Ireland, Mexico, Poland, Portugal, Serbia, Slovenia, Spain, Sweden, Turkey. “Each Foreign Marina (who has participated in the opening day of the traditional parade which, starting from the village Tuttovela, crossed the street and reached the Great Hall Square where he took the salute from the Mayor of Livorno) was represented by highly trained and motivated team sailing. “said Captain Henry CCG Vignola, Head of Press Tan. “Of all the Marine ester occurred this year, that definitely made us more pleasure, and whose presence is certainly remarkable, is the Japanese delegation who wanted to participate equally in spite of the tragic earthquake.” He said Sub-Lieutenant Andrea Doneda, press officer Tan. During the impressive closing ceremony of the 28th TAN (as tradition held in the historic square of the Naval Academy) to J/24 Fleet were awarded numerous awards. 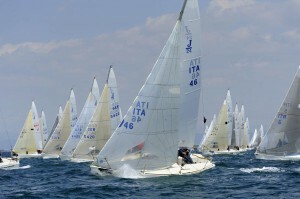 In addition to the Naval Academy Trophy and the city of Livorno, Cups for the top three winners and the trophy Paul & Shark, were handed the trophy XIII of the Academy of the Mediterranean and Black Sea, reserved for teams that have raced on J/24 made available by the ITAlian Navy (1 st Turkey Slovenia 2 nd, 3 rd Naval Academy pupil entrusted with ENG 427 Nereid Fabio Gobbi 1, Cl), the Naval Academy Trophy II of the Foreign Military Representatives, dedicated to the Naval Academy and 18 guests of the TAN of the Naval Academy Trophy (1 ° Turkey, Slovenia 2 nd, 3 rd UAE), the IX Trofeo Admiral Francis Mimbelli awarded under the Race Training Institutes of the Navy at the Naval Academy Nereid Eng 427 (skipper all. Gobbi Fabio 1, cl) . They also Cup Lieutenant Ricardo Gorla crew’s youngest. 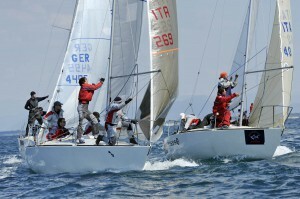 Sail Navy Promoted by Sports (Marivela), the joint winner of the J/24 class (Eng 442 Hawk sect. Velica Air Force Academy skipper Frederick Chiatelli) was rather awarded the title of winner of the nineteenth Command Sailing Championship. To the crew of the Beagle Boys ( J/24 of the self-deprecating name by which a group of boys of the ITAlian people take part in Down races led by Chico Maltinti sailing school lee ) a special award presented by the Commander of the Naval Academy, Admiral Pierre Division Rosati, and lots of applause from all present. A thanks from the Class J/24 for the Navy, CdF Raffaele Cerretini, the Race Committee and Protest, and staff in the ITAlian Navy League Sea sect. Livorno who has worked at most to play the races even in tough conditions. Next apppuntamento for the J/24 Class is the third leg of the national circuit, the traditional Pasquavela ORGANIZATA YC from Santo Stefano ( www.ycss.it ) April 21 to 25 in the waters of Porto Santo Stefano.